I'm hoping you can fix this problem as many people are filling out the questionnaire and no code is being generated! Once they click send, it erases everything and they lose all of that work. This is bad for our business and has been going on for a few months. We appreciate your expedited service. From what I have checked so far, using the form's direct URL http://www.jotform.com/form/2441719981 does not exibit this behaviour. 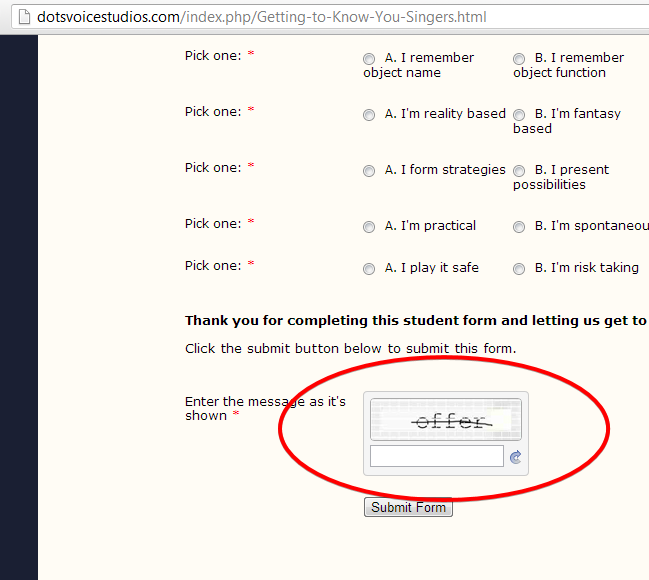 However, I was able to see the issue you mentioned when I checked it in your website http://dotsvoicestudios.com/index.php/Getting-to-Know-You-Singers.html , BUT this is probably due to script conflict between those in your website and those of JotForm form since you are using the form's source code to embed the form. 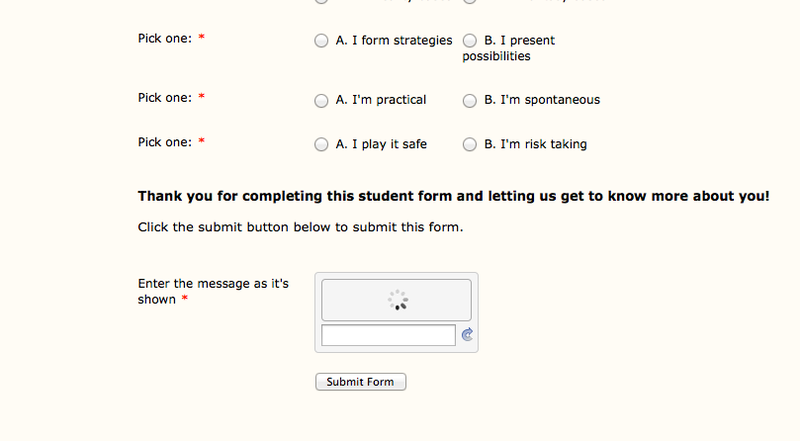 I suggest that you re-embed the form using its Iframe code instead. Please try this and check if it resolve the issue. Thank you! Got it done and hopefully it will work! I could see the captcha field being shown properly in your form on the website now.